NOTHING is Permanent. | The Solar Nerd. Written by Ben Alexander in 2008. I was in New York during the spring of 2001 on business and I found myself in lower Manhattan. I had never gone to the top of the World Trade Center, but when I pulled into the parking garage at the center the rate was exorbitant, about $15 an hour. Of course, the next time I was in Manhattan the parking was not $15 anymore because there was NO garage, NO giant towers above—just a 10-foot tall cyclone fence surrounding a gargantuan hole in the ground. The last time I was in Asia I bought some interesting books on Buddhism and read them while I was on the 14 hour flight home over the Pacific…. One of the concepts in Buddhism is: Nothing is permanent. Back in the spring of 2001 I never would have imagined that those gargantuan buildings would be gone in the next hundred years, let along the next 6 months….and they fell in the same time that it takes to read the business section of the local newspaper. If the Twin Towers are not permanent then neither is your marriage, your children, your career, your wealth, your house, your car…. anything that you can touch. Failure is not permanent, but neither is success! Our current economic doldrums are not permanent; it will pass and things will pick up again. Even knowledge is not permanent; when humans disappear and our books disintegrate—the Bible, the Koran and the Talmud will all be gone, along with the religions upon they’ve been promulgated. Even the people who want to BURN books will be long gone as well. There will always be change; so if everything is always changing, how can anything be permanent? 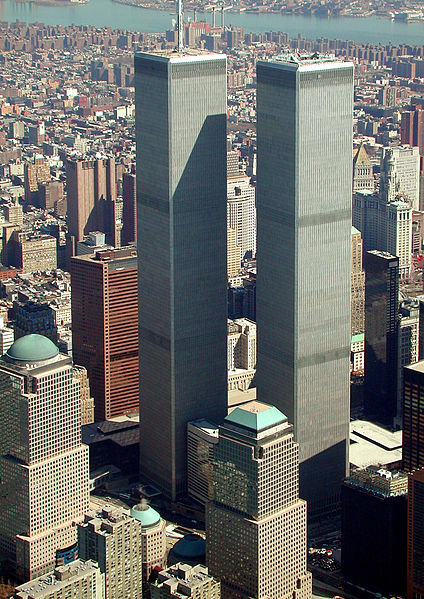 Just as the World Trade Center looked solid, strong and immovable, that was merely an illusion quickly dispelled by a team of suicidal terrorists at the controls of two fully fueled jetliners. If there is a negative situation in your life, you can gain perspective by realizing that whatever IT is, it is NOT permanent. We are really tiny in the grand scheme of things. Humbling, isn’t it? Even the most famous person is just a speck of sand on a beach that stretches a thousand miles. Depending on what you believe perhaps the only thing that is an exception to this rule is God, but while we are still alive there is no sure answer to that question as well.